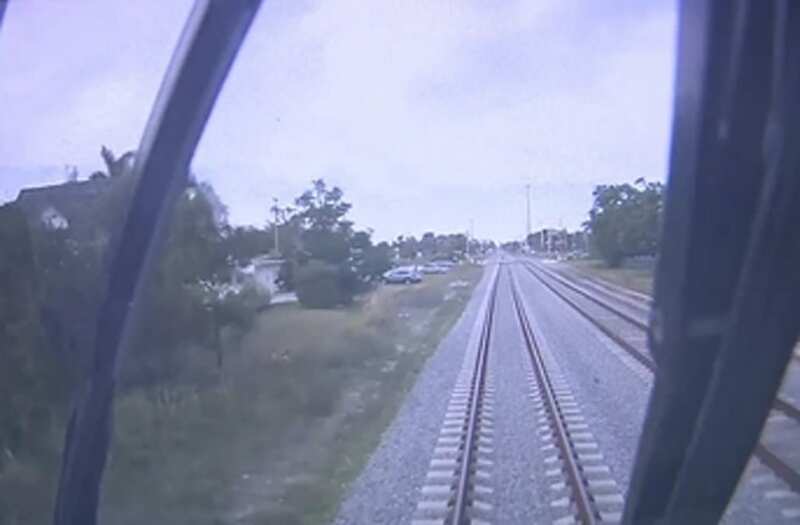 A video was released of the moments leading up to yet another fatal striking of a south Florida resident by the new Brightline train. The Sun-Sentinel reports that Jeffrey King, 51, was using his bicycle to get home from his dishwashing job. He was cycling across the Boynton Beach tracks when he was struck and killed by the high-speed train. The video, shared by CBS 12, shows the moment King and the train made fateful impact. King’s death adds to a growing list of fatalities involving the new train. Similarly to the previous cases, the arm guards were down, alerting citizens that a train was coming. Only one person is known to have survived their encounter with the Brightline. Brightline has announced new provisions to help prevent fatalities on the tracks, according to the Miami Herald. The company is seeking to send out “safety ambassadors” to monitor some of the train crossings. New digital signs will also be implemented. Both the train service and the fatalities have become the focus of hot debate in the area. King is remembered by friends and family for his acts. King volunteered at Caring Kitchen, a resource for those without food, for seven years. And it’s the skills he learned from servicing the community there that led him to his job at Troy’s Barbeque. He was traveling from his place of work at the time of his death.